Oppose the coups in Latin America! Solidarity with the people of Venezuela and Brazil! We, the undersigned, condemn the destabilisation plan underway in Venezuela against President Nicolas Maduro. We send our solidarity to President Maduro and the Venezuelan people who are resisting attempts by right-wing opposition forces to oust a democratically-elected government by violent means in violation of the democratic vote of the people and the country’s constitution. International solidarity with the 55 Carlton United Brewery workers sacked by the company and replaced with scab labour has grown. On September 8, coinciding with the mass rallies in support of the CUB 55 in Melbourne, trade union activists tried to confront the company management of SAB Miller at their headquarters in London. SAB Miller is the parent company of CUB, with a total operating profit of $4.4 billion. Irish republican party Sinn Fein has condemned the British government’s non-apology over police collusion in a 1994 massacre in the six northern Irish counties still claimed by Britain. On June 18, 1994, masked men armed with assault rifles burst into a pub in Loughinisland in County Down as Catholic civilians watched a Republic of Ireland World Cup football match. Opening fire, they killed six people and injured five. Protest against austerity. Lisbon, 2013. A month ago, on August 8, it became official — the high school governors agreed that the headmaster had acted correctly in not caning the two miscreant schoolboys. His enthusiasm was shared by many, and with good reason: after years of intense social struggles against right-wing neoliberal governments, new left forces were winning elections across the region. Thousands of Venezuelans took to the streets of Caracas and other major cities across the country on September 7, calling for peace in their country and rejecting right-wing opposition plans to destabilise the government of President Nicolas Maduro. 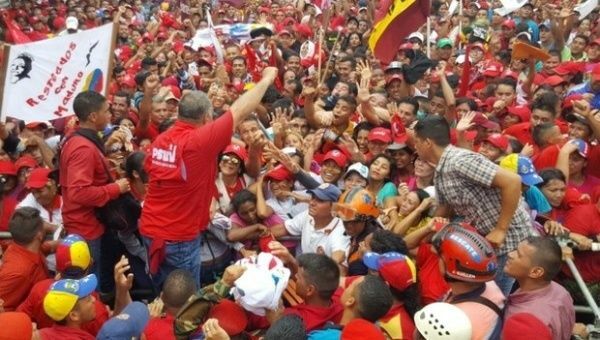 The march was called by the ruling United Socialist Party of Venezuela (PSUV) and joined by civil society groups and grassroots movements. A coalition of about 60 Black Lives Matter groups from around the United States issued “A Vision for Black Lives: Policy Demands for Black Power, Freedom and Justice” on August 1. The document is long and detailed. It is the most important Black independent political action program since the National Black Independent Political Party and Black Power conventions of the early 1970s. It also is a reflection of the leading role of Black young people in the still-nascent radicalisation of US youth in general. As one presidential candidate faces charges for spray-painting construction equipment at a Dakota Access Pipeline (DAPL) protest on September 6, many are calling for President Barack Obama and White House Democrat presidential candidate Hilary Clinton to oppose the controversial project. Morton County Sheriff Kyle Kirchmeier said that Green Party presidential candidate Jill Stein would be charged for taking part in an action in which 150 to 200 people protested at a DAPL worksite in North Dakota. ”Benny G the clown”, painted on the Israel's Apartheid Wall, referencing Ben Gurion, first prime minister of Israel.